Every once in a while, I discover something that makes me think just a little differently about the world of history as I know it. 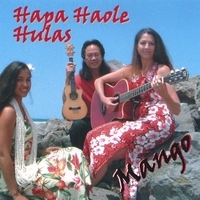 A few months ago, my ukulele group was looking into Hawaiian songs for 2 engagements for Luau’s. Some were easy, some were very well known to Americans, but insignificant to us. Our leader gave us this song to learn because it is a very simple melody, just repetitive enough to learn quickly yet diverse enough to be interesting, and it is a 2-chord song. I am not sure if he thought the rest of the meaning of this particular song through! He attached 2 videos to the email with the pdf On A Coconut Island. The first was by two ladies with ukuleles, wearing get-ups with costume wigs (why, I don’t know – it’s youtube!). 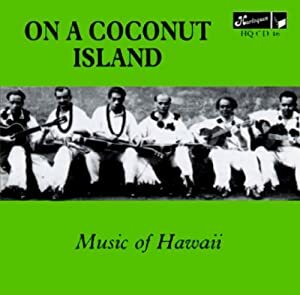 The second video was a performing ukulele group, all clad in matching Hawaiian outfits, singing along with a vinyl recording of the song by…… Louis Armstrong and the Polynesians, 1936. At the time, I thought, “That’s neat: Louis Armstrong, paired up with a Hawaiian orchestra, about the time of the World’s Fair perhaps. Maybe he was part of that famous ‘ukulele-craze-movement’ happening in the early century of US history.” That’s all I thought. The Luau performances came and went for us, but still I was strumming this little 2-chord song at home, because it was so darn easy to memorize! Then in June, we all travelled up to Ancaster to take in a workshop called Play Ukulele By Ear by savvy American uke player Jim D’Ville. Cool. He spent a chunk of time explaining how there are certain patterns of chord progressions that are particular to certain eras of music. For example he talked about how the 4-chord progression of songs in the 50’s was typical of a key: I, VI-minor, IV, V7th. And how when the Beatles hit the shores of the US they changed the outlook on chord progressions completely. They sometimes composed a song entirely in Minor chords, and over-turned other musical conventions. He then launched into a short but very specific description of the development of mainstream music and genres, from the turn of the century (well actually with the advent of recorded music) to present day. What has this got to do with Louis Armstrong and the Polynesians, you ask? Well, one of the eras Jim D’Ville described was that of the Great Depression. He said, people wanted to sing and compose songs about the better days that came before this very difficult decade. Times were so tough people didn’t have much to look forward to and feared a future of worse struggles. These were very hard times. And so the songs that were played over the radio air waves were from the turn of the century and from the happy-go-lucky flapper days of the early teen years. Songs like Five Foot Two and Ain’t She Sweet. He also mentioned Louis Armstrong’s role in this era of the 30’s. It was no accident that he sang and recorded What a Wonderful World. On A Coconut Island is also such a song. It’s takes us away from the troubling times of the Depression era and transports the singer to a tropical island, a place of peace, beauty, and solitude. There are no worries there and no troubles. The writer of the song also had some clever fun trying to rhyme words with “island”, coming up with “while and”, “mile and”, and “smile and”. So I sing it that way! He went to all the trouble to write it like that!